I was fortunate enough to get an invite to the Heart of the Swarm CBT. To my dismay, I was also (un)fortunate enough be invited at the same time all of the pros were receiving their invites. This resulted in a total of 74 players online at a time. I’m very confident that if I did ladder, I would be placed in negative bronze league. Not regular bronze league, but rather, negative bronze league. However, I did enjoy messing around in custom games with the new Terran units. To this day, I still mourn the lost of our dear comrade, the Warhound. Perhaps one day he will make his grand return, but I’m not that hopeful. Please note that many of the ingredients are used in different parts of the dish (example: garlic is used in the sauce and the marinade). Total prep time will be about ~35 minutes. Since this recipe does require a marinating process, the total idle team will be about 12 – 24 hours. Total cook time will be about 35 minutes. This recipe will serve 4 people. Place a sealable plastic bag in a bowl. This plastic bag will be used to hold the marinade. If you do not have a plastic bag, just use a bowl and cover the finished marinade with plastic wrap. 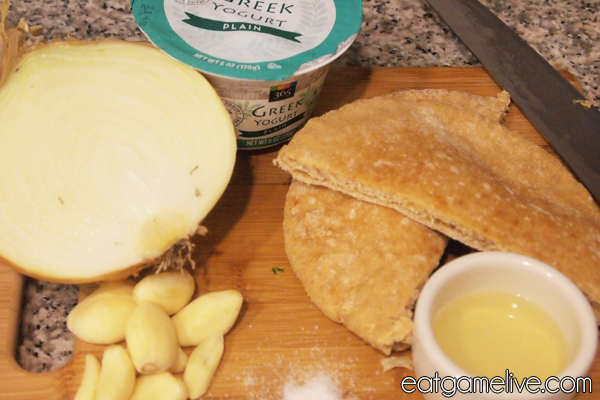 Combine your ingredients: yogurt, lemon juice, diced garlic, salt, pepper, vinegar, cloves, cumin, cinnamon, and nutmeg. 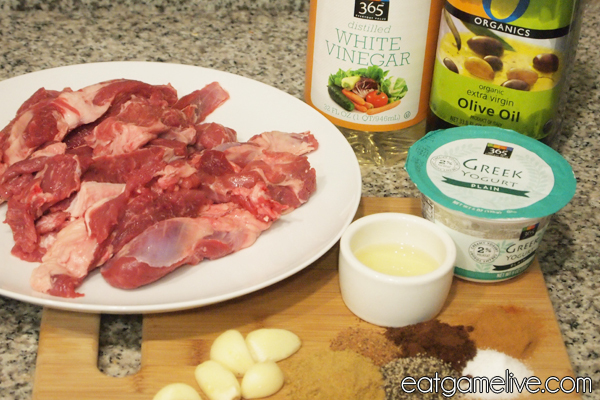 Slice your lamb into thin strips. Place lamb in the marinade. 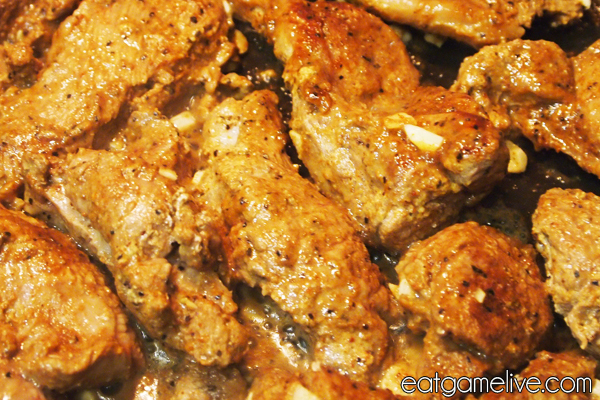 Allow lamb to marinate in the refrigerator for at least 12 hours. When the lamb has finished marinating, remove from refrigerator. Set a pan to high heat and place a teaspoon of olive oil in the pan. Place lamb strips in the pan. Let lamb strips cook for about 5 minutes on each side. Place your chopped onions in the hot pan. Pre-heat oven to 400°F (204° C). Place 4 garlic cloves in a small oven-safe dish. Roast garlic until soft (~20 minutes). When garlic is cooked, remove and let cool. Place garlic in a food processor (if you don’t have a food processor, you can use a blender) with salt, lemon juice and yogurt. Process until combined. Remove from food processor and set aside. This will be your garlic sauce. 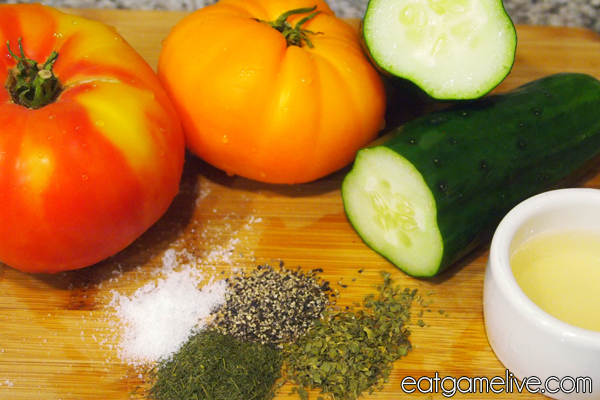 Dice your cucumbers and heirloom tomatoes. Combine with salt, dill, parsley, pepper and lemon juice. 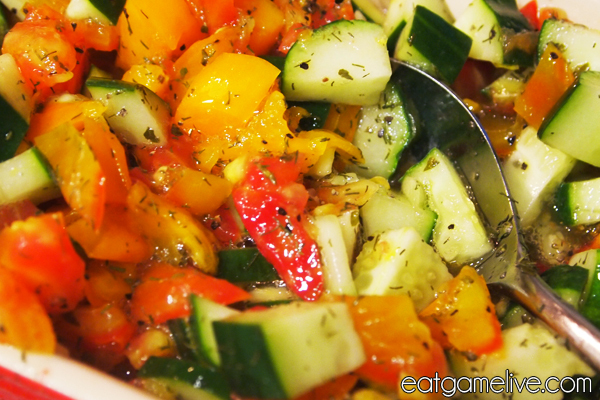 Drain any excess liquid from the salad before plating. Plate your shawarma, garlic sauce, salad and pita bread. And that’s all you need! GG WP. Now you have a dish to celebrate the upcoming HoTS release… Or, celebrate your latest acceptance into HoTS beta! Or, if neither of those are your things, you can enjoy watching The Avengers! Hooray shawarma! 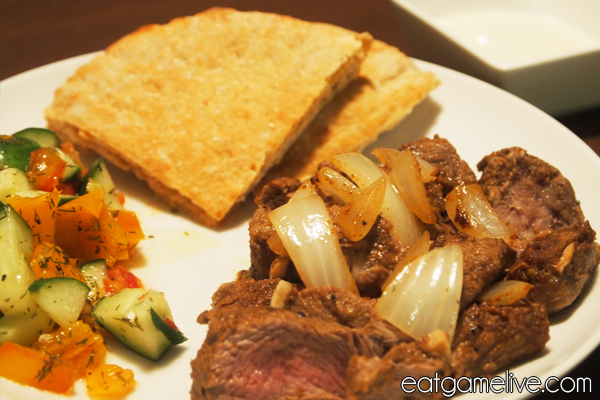 This entry was posted in starcraft and tagged cloves, garlic, heart of the swarm, lamb, pita, shawarma, zerg by admin. Bookmark the permalink. you really did it well! you are the swarm 😀 i did it myself (litlle bit changeing it) and really thank you GL WP! !